With this visa type of visa, you can stay in Dubai or UAE for a period of up to 14 days from the day you enter the country. It’s extendable for further 16 days, however charges apply. Perfect for a long term Dubai vacation, it is also the visa which you can ideally apply for, if you wish to visit your friend or a family member who is employed and settled in the UAE. Should you need to visit Dubai on frequent basis, you may apply for a Dubai visa that allows for multiple entries during a time frame of up to 30 days. With a 90-day multiple entry visa, you can enter and exit Dubai any number of times during this three month period. It is not possible to extend a multiple entry visa. Depending on the purpose of your visit, you’ll be asked to submit the following documents in support of your application for a Dubai visa. Point to remember: Visitors’ passport should be valid for at least six months from the date of Dubai entry. Point to remember: Photo size details should be as per the Dubai Immigration requirements. Point to remember: It should have a minimum validity of three months. IMP NOTE INR 1000 will be charged additional if Flights/Hotels/Tours Not booking with us. VAT (5%) will be charged extra. People from across the globe come to Dubai for various reasons such as job, studies, business, leisure, or to visit relatives and friends. To do so, they require a convenient and fast processing Visa. A visa is an endorsement on a traveller’s passport that testifies that the traveller is allowed to freely enter, stay and leave the country for a specified period of time in a foreign country. The visa regulation of Dubai states that all citizens of India have to obtain a prior visa before entering the emirate of Dubai. The Dubai visa requirements for Indian citizens is quite lenient and if all the documents are in order, getting a visa online is a matter of just 3-4 working days. Be it a business trip or a leisure travel to Dubai, we are the most sought-after company for visa. We provide the best deal in the right time and in the most competitive prices when it comes to getting a Dubai Tourist Visa. With Rayna tours, you can get Visa speedily without compromising on any of the processes. Indians who want to visit Dubai on a 90-day visa need to justify the reason for the trip and documents supplementing the same. Host company invitation letter or Host Resident permit along with the passport copy. In case you don’t have pre- booked tickets, don’t worry, we’ll be happy to help you with your flight and hotel bookings. Kindly, present to us the passport copies of the friends or relatives residing in the city.Once all the documents are furnished and verified we start the Visa process by submitting the application form and the required documents for approval. Just complete the online form for the visa application and email us the clear scanned copy of your passport to get the Online Visa for Dubai. Scan your passport size photograph with a white background. Ensure the photograph is in Jpeg or JPG format only. You must show us the confirmed copy of your return ticket from Dubai. We would be happy to help you with the hotel and flight bookings as per your requirements. We can even design an entire package exclusively for you as per your itinerary. Edubaivisa.in provides expedited visa services to help travelers from India to visit Dubai or the UAE. We make a visa application procedure easy with our stress-free services and comprehensive checklists, taking out any anxiety you may have about your Dubai visit. This allows you to get your Dubai visa on a short notice and for a very reasonable rate. Experts in processing visas for leisure and corporate travelers, our visa consultants can assist you with a variety of Dubai visas, including multiple-entry visas and express visas. 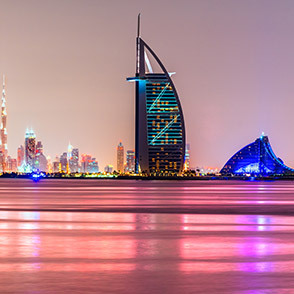 Based in Pune, India and with strong connections and operations in the UAE as well, you can be rest assured that we’re equipped with all resources to guarantee you a secure and professional service for your Dubai travel. So, in collaboration with our team of visa experts, you’ll find applying for a Dubai visa an extremely smooth and fast process. To provide high quality visa services at cost effective rates. To represent our clients’ varied visa needs ethically and zealously. To be responsive by giving our clients personal updates on their visa process from start to finish, thus eliminating all guess works out of obtaining a Dubai visa. Experience: Our visa specialists have a wealth of experience in the lodging of applications for all types of Dubai visas. This, in turn, enables us to guide you in the most effective manner, ensuring the approval and on-time delivery of your Dubai visa. Service focused: We’re committed to delivering you an effective, professional visa service. Regardless of how simple or complicated your visa application is, we assure you of utmost transparency and integrity all throughout the process. Pricing: Our prices are very competitive and come without any hidden fee. In fact, we charge from you only what you see on our website. Get in touch with us if you’re in search of a professional Dubai visa specialist company. It would be our pleasure to have you as one of our contented clients. Just drop an email or give us a call on +91 20 66838888 | +971 4 3858005 to get started. Dubai is touted as the world entertainment and tourist destination and is visited by millions from around the world. The city has only 15% local population and the rest 85% is the expat population majorly belonging to India and the neighbouring countries. The city of Dubai was not long ago a small Bedouin fishing village. The discovery of oil changed its fate and the emirate became extremely rich. But instead of enjoying the swim in the uncountable wealth, the government of Dubai ensured that the future of its citizens is secure and as a result, tourism in Dubai was given a boost. The money generated from oil was channelized towards the betterment of the city and today Dubai has some of the biggest and largest man made wonders of the world. Burj Khalifa, Burj Al Arab, Palm islands, Global Village, Miracle garden, Desert Safari, Dubai Shopping and a lot more attracts tourists from all over the world to the mighty emirate of Dubai. In order to process your Dubai application, make sure that you’ve submitted all supporting documents, along with the stipulated fee amount. Please be informed that submission of these documents, however, does not guarantee that your application will be successful, as it’s up to the sole discretion of the Dubai immigration authority whether or not a visa will be approved. In the event your visa application is unsuccessful, the visa fee is non-refundable. The same applies if your visa is approved but you cannot travel to Dubai. If you’re unable to travel to Dubai despite the approval of a Dubai visa, you’ll be imposed a penalty of INR 2000, which will be taken from your guarantee amount. 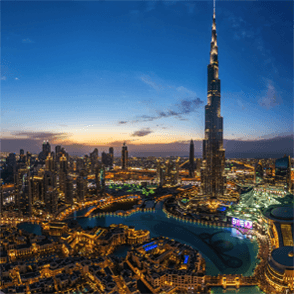 It typically takes four to five working days in order to process a Dubai visa application. We recommend you to submit your application at least seven days before your Dubai visit. Unless otherwise mentioned as a multiple-entry visa, all visas are valid for single entry only. We’ll forward your approved Dubai visa to your email. Make a printout of the same to submit it to the passport control section of the UAE airport. Procuring an OTB status is mandatory for all passengers traveling to Dubai from India. Based on your request and for a nominal fee, we can get your PNR status updated with OTB message. In the case of overstay, you’ll be subject to a fine of INR 3000 per day which will be taken from your guarantee amount. If you’ve to face an imprisonment in Dubai or UAE while on our visa, we’ll deposit the security cheque. As soon as you leave the country, make sure that you send us a copy of your passport page with the exit stamp by the Dubai immigration. We can use this as a proof of your departure from the UAE. We’ll refund the security amount only after the confirmation of your departure from the country. Getting a tourist visa for a Dubai vacation has never been easy, at least for me, until I got in contact with edubaivisa.in. The simple three-step visa application process caught my curiosity, and I gave it a try without any second thought. And guess what! I got my Dubai visa in three days. This company is literally a silver lining in the otherwise complicated UAE visa application procedures. Edubaivisa.in is a one stop solution for a visa, air tickets, hotel accommodation, and sightseeing in Dubai. Feels proud of this Indian company for offering international standard services to customers.They are quick in response and delivered what was being promised.I guarantee you will not be disappointed by them.